Traveling puts you at greater risk for identity theft, which is something no one wants to deal with. 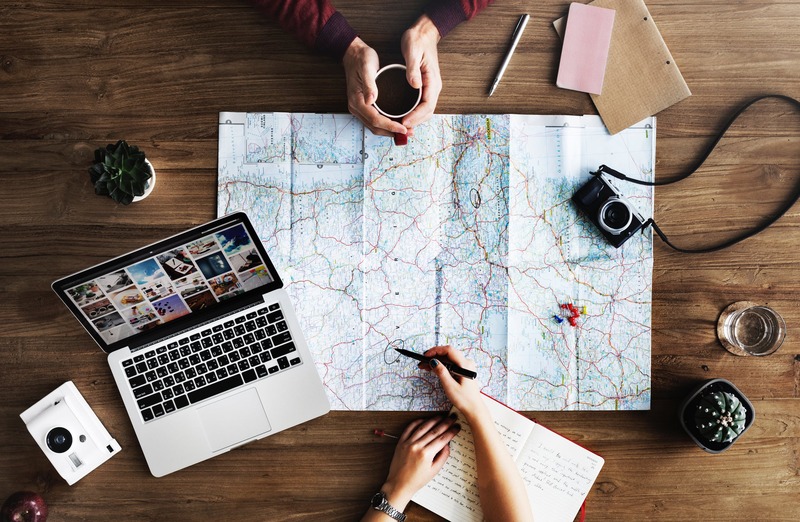 To help keep your sensitive personal information safe on your travels (whether you’re going on a work trip or a vacation), our expert team at Tax Defense Partners put together this handy checklist that covers everything you need to do before, during, and after traveling to help you stay protected from identity theft. Before you travel, protect yourself from identity theft by making sure that your information is protected, that potential local thieves don’t know you’ll be away, that your bank knows about your travel plans, and that you’re aware of any travel advisories specific to your destination. Write only your first or last name and phone number on your luggage tags. Putting your full name, address, and phone number on your tags is risky because identity thieves can easily see and use this information. So, keep your luggage tags simple to keep your information protected. Clean out your purse and wallet before traveling. The less personal information you have on you, the better. Take only the necessary forms of ID and the cards you know you’ll use on your trip to minimize the amount of personal information you carry with you on your trip. Don’t post your travel plans online. It can be exciting to go on a trip and you may want to share your plans on social media. But this is risky because local criminals could see this information and potentially use it as an opportunity to access your unattended home or mailbox. Put a hold on your mail during your travels or make plans to have a trusted neighbor get your mail for you. This is especially important if you have a mailbox with no lock on it. Your mail contains sensitive personal information and, if your mailbox is obviously overflowing, identity thieves might see that as an opportunity to swipe your mail (and, with it, your personal information). Notify your bank(s) of your travel plans. When your bank sees activity from another state or country, they’ll often freeze your bank account for suspicious activity. But notifying them in advance will help you avoid any irritating holds on your bank accounts while traveling. If you’re traveling out of the country, check for travel warnings or alerts for the country you’re traveling to. The US government has a dedicated page to help travelers protect themselves from travel advisories in certain countries, so always check this before you travel to see what you should look out for on your trip. On your trip, you want to be cautious about the common ways identity thieves can access your information. Follow these action items to stay protected. Use credit cards or cash over debit cards whenever possible. If you do end up getting information stolen on your trip, debit cards offer the least identity theft protection, while credit cards offer the most (and cash offers very little risk at all). So, when shopping at local merchants, consider paying with cash or credit instead of debit. If your hotel room has a safe, always use it. While we would all hope that hotel staff is honorable, there are bad seeds at even the nicest hotels. Your information, cash, and other valuables are always safer in a password protected safe than left out in the open. Make sure your phone is password protected on your trip. Many people don’t use passwords on their phone during their day-to-day life. But your phone contains huge amounts of personal information so, when traveling, make this information harder to access should your phone fall into the wrong hands. Be wary of public wifi networks. These public networks can be extremely convenient— but they’re also often unsecured, meaning people can access any information you input in your phone when you’re on public wifi. Be wary of public ATMs. A common way identity thieves steal credit or debit card information is through card skimmers that they’ve attached to public ATMs. Identity thieves sometimes even put cameras up near ATMs to gather PINs. So, always cover your pin at ATMs and inspect ATMs for card skimmers before using them. And know that, as a general rule, ATMs at banks are usually safer than freestanding ATMs. Remember not to post about your trip on social media while traveling. It’s tempting to post about your travels while they’re happening but, just like posting that you’re about to go on a trip, posting during your trip can signal to criminals that your home is unattended. It’s best to wait until after you return home to post about your trip on social media. After your trip, you should check to for any fraudulent activity on your accounts and take steps to make sure your accounts and your trip information are harder to access. Check your bank statements after your trip. You should check immediately after your trip and in regular intervals afterward. This way, if you do see any fraudulent activity, you can notify your bank and get resolution as soon as possible. Check your credit report regularly. Browse your credit reports to make sure you don’t see any strange activity that you don’t recognize. Change your PINs and passwords after traveling, especially if you used any ATMs or public wifi networks on your trip. If someone did get access to your PINs or passwords, you can protect yourself from identity theft by swiftly changing them once at home. Shred and dispose of your travel documents. There’s a lot of personal information on travel documents, especially on things like boarding passes that have barcodes. So, be sure to shred these documents before throwing them out to make sure this information can’t be found. Feel free to post pictures from your trip on social media! Now that you’re back at home, it’s much safer to share information and pictures from your trip, so post away.